Located at 402 East Wilson Bridge Rd. The place where dancers go to dance and have fun! Don teaching East Coast Swing. 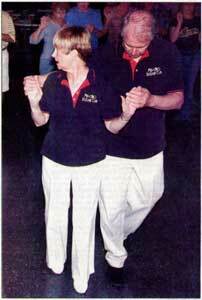 Georgia and Jim have been teaching East Coast Swing, West Coast Swing, Carolina Shag, and Slot Hustle since the club started. 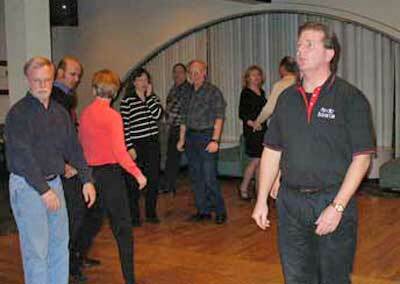 Pictured here, they are teaching Carolina Shag at Clarksburg, West Virgina. Click here to read the article.